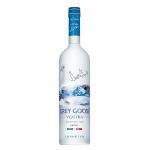 Purity Vodka is the proud maker of Purity Vodka (£27.30), a vodka with roots in Sweden with 40% of alcohol strength. 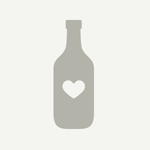 According to Uvinum users, the Purity Vodka deserves an evaluation of 4,1 of 5 points. Purity Vodka is the finest and purest Ultra Premium Vodka in the world. It illustrates the perfect combination of tradition and innovation. It is a jewel elaborated by one of the best European masters-blender to appeal to all vodka amateurs thanks to its powerful, complex, smooth and sophisticated character. In 2015, Purity Vodka confirmed its excellent quality as it celebrated its 100th Gold Medal won in the most prestigious Spirits Competitions. Besides its exceptional quality, Purity Vodka can boast a certified bio label and an elegant bottle. 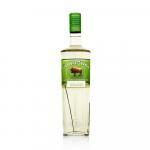 Don't miss on this great gift and impress your friends with this Swedish vodka. - Flavor: Refreshing and balanced flavours of minerals, lemon and umami. - Taste: full-bodied and mild flavour. Soft on the Palate and provides silky flavours with mineral, liquorice and sweet hints, leaving a feeling of warmth. PRODUCTION DETAILS: Created exclusively from natural ingredients, Vodka Purity is made in a patented Ellinge vodka still. The distillery is in a castle in southern Sweden. During the thirty-four distillations, ninety percent of the liquid is lost. 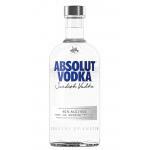 What remains is so pure that no filtration is needed, so the vodka's natural flavours and character are preserved. Purity Vodka uses a unique distillation process in copper stills and 24 karat gold, which is done in batches of small quantities. Purity vodka, is a premium vodka made from 34 distillations. 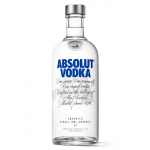 This is one of the top rated vodkas on the market, full, complex and full of character body, but soft and sophisticated. Purity Vodka 700ml 40,0% Alcohol is a Premium Vodka. Purity Vodka uses an original distillation process in copper stills and 24 karat gold, which is done in batches of small quantities. Every drop of Purity is distilled 34 times. Transparent color very clean and clear. Extremely smooth taste due to distillation where we find the flavor of wheat and barley in the area where it is made. 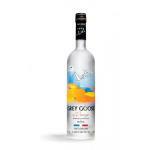 If you want to buy Purity Vodka, at Uvinum you will find the best prices for Vodkas Purity Vodka. At Uvinum, at the best price, wherever you are, via your mobile device or computer. 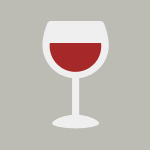 We offer more than 59.000 products for sale becoming this way the biggest company to sell wine, beer, and spirits online in Europe with more than 38.000 customers trusting us.